I have some trés exciting news to share with you today, about a big step in the right direction for Paperknots… a new girl! Yes that’s right, it’s no longer just me, myself and I (and a couple of furry friends) but another real human coming in to PK HQ. 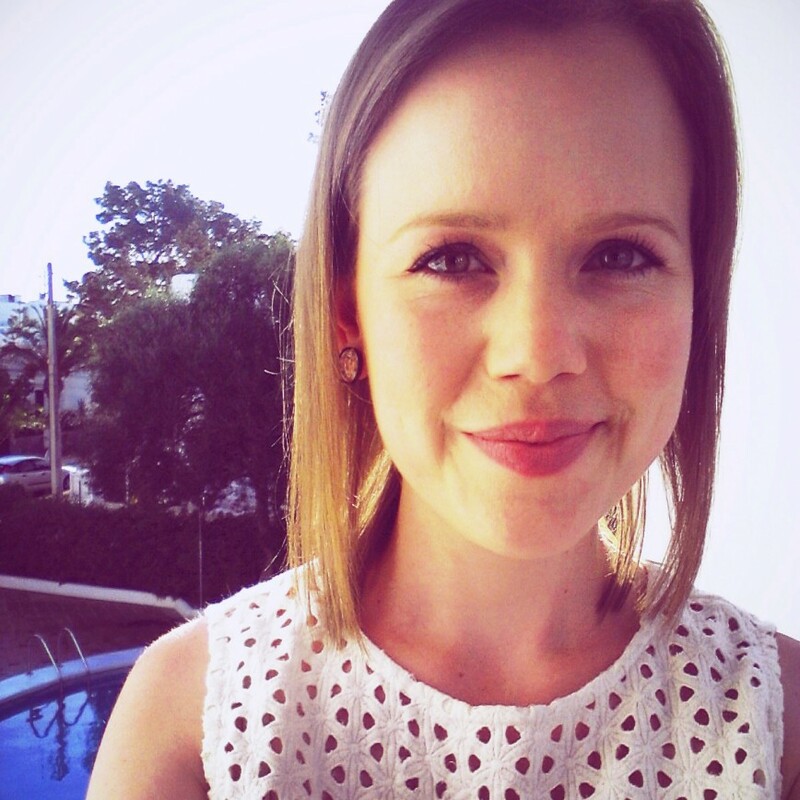 The lovely lady in question is Claire Mounsher… do say hi all! So this week Claire popped into the studio for a trial morning where I gave her some samples to make and cards to pack. It was a quick demo from me and within minutes Claire was flying flawlessly through them – why hello, fellow paper lover / maker / crafter / doer! 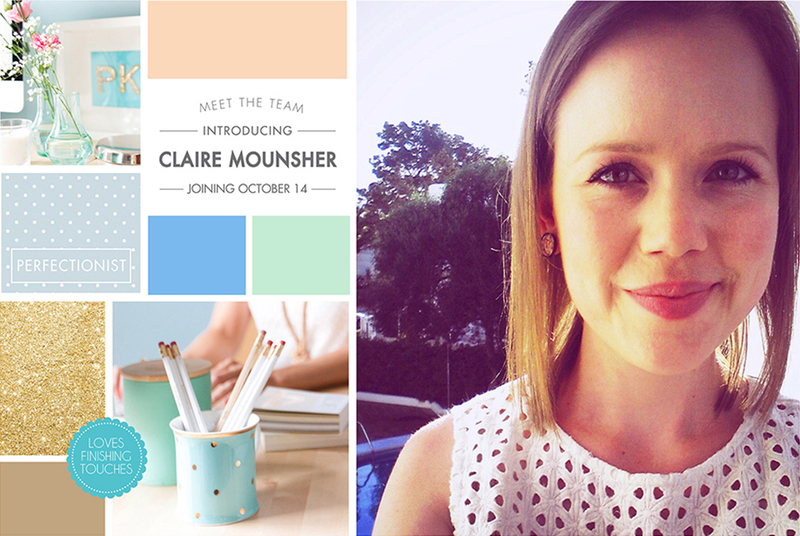 It’s so great to have Claire join the ‘team’ (yay I can say that now!) and although it’s only on part time hours, I already have tonnes of ideas up my sleeve for Claire and hope to utilise her many other talents in the not too distant future! I moved to London about a year ago from Melbourne, Australia with one (rather large) suitcase and not much of a plan. I had been backpacking around Europe for 4 months, which inspired me to finally take a leap of faith and come to London, and I haven’t looked back since! I love to travel, eat, and drink lots of tea and I still get really excited when I see squirrels in the park. Knowing that I wanted to do something creative with my life I decided to study Visual Merchandising which gave me a great introduction to both retail and the events industry. I started working as a Visual Merchandiser in a department store, where I managed the homewares section (there’s just something about pretty teacups and plates that really gets me!). I’ve also done a lot of event and wedding styling which is a crazy fun industry. My latest venture has been down the wedding stationery path which seems to be bringing together all my favourite elements from past jobs and combining them into one super awesome line of work! I have just recently completed a modern calligraphy course which I absolutely loved, so I’m really looking forward to playing around with that and expanding my new skills. I do also have what I think is a perfectly normal obsession with paper (others may think differently!) and I really enjoy coming up with new projects to fill my spare time. I have played around with quilling and different paper cutting/folding techniques and basically just really enjoy sitting in the same spot for hours on end doing anything crafty and paper related – crazy right?! I’ve never been able to put into words a proper answer to a question like this, I just know what I like when I see it. I really like any sort of design that involves small details and finishing touches. I’m a fan of simple design, but that said, I’m obsessed with patterns and colour. And I always seem to go back to my love of geometric shapes. So I think, taking all of that into account, it’s safe to say I love just about any style of design…! I don’t think my dream job has a title just yet, I’m still discovering new things and seeing where they take me. 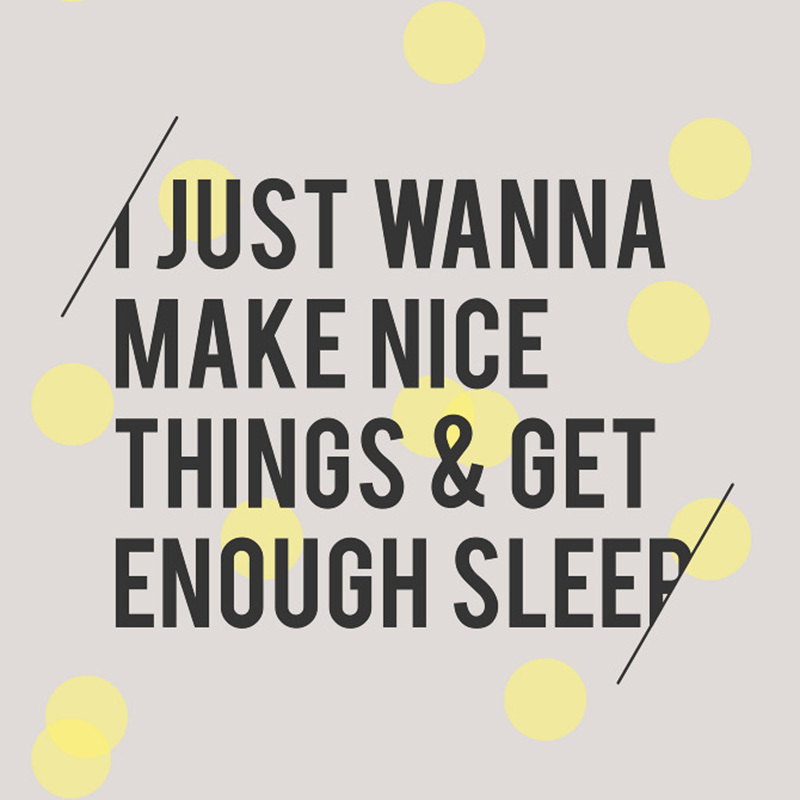 I came across a quote recently that said ‘I just want to make nice things and get enough sleep’ and I think that sums me up perfectly! If I could somehow make a living from drawing pretty things, making things out of paper and coming up with new craft projects, I would be a very happy lady. I have a second stomach for dessert (ice cream in particular). I’ve always been jealous of people who have nicknames – there’s not too much you can do with Claire and I found this quite upsetting as a child. One of my favourite hobbies is people watching. Although I’m not sure if that’s classed as a hobby or just strange behaviour. I’ve never managed to peel an onion without crying. Even if my life depended on it, I’m not sure that I could choose a favourite colour. Well I think I’m with you on all of those points Claire, I’m definitely in the nickname envy gang, mine’s got about as far as ‘Lis’! Good job we’re not in showbiz hey! Thank you so much for sharing a little more about yourself with all the lovely Paperknots readers – and now any current clients can put a face to who will be perfecting their orders! I’m thrilled to have you onboard and look forward to seeing where this next chapter may lead for us both.